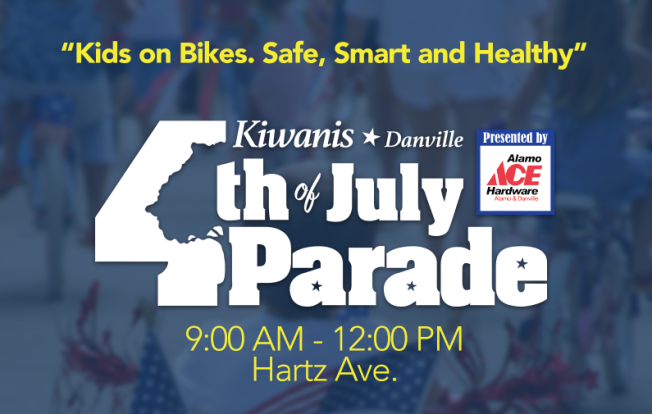 Make some beautiful memories this 4th of July at the Kiwanis Club of San Ramon Valley’s 4th of July Parade, an incredible event that attracts over 40,000 attendees each year including local community residents and friends and family from areas far beyond Danville. The parade starts at 9:00 AM and runs from the corner of Hartz Avenue and Railroad Avenue, continues down Hartz and San Ramon Valley Boulevard and ends at the corner of San Ramon Valley Boulevard and Sycamore Valley Road. The Kiwanis Club of San Ramon has been the organizer of the parade in Danville since 1975. Each year, they raise funds through parade sponsorships, entry fees and community service projects. To date, over $1,000,000 has been raised and donated to local community service organizations in the San Ramon Valley.